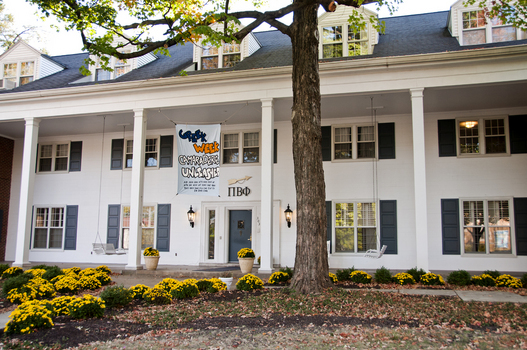 Pi Beta Phi at DePauw is a loud and proud group of incredibly eclectic women and personalities that compliment and challenge each and every one of us every day. We are outspoken, energetic, and we are truly a group of sisters through and through. Today, Pi Beta Phi continues to encourage women to develop meaningful relationships as they reach for their personal goals. Collegiate membership in Pi Beta Phi and the relationships it yields help members adjust to college life by providing a sense of belonging, mutual support and leadership development. We cherish our sisterhood and gain lifelong friends through our commitment to one another, and to our philanthropic duties for First Book.